OCTOBER is the month to share your favourite gardens. I have recently been on a road trip around Britain – or some of it. Starting in the south-east and working my way northwards up to the Highlands of Scotland. Opportunities abounded to discover some new gardens and I made sure to find the time to fit in a few along the way. Luckily the weather on the whole cooperated and with September gardens no longer the tired and dreary places they once were I am hoping that you will enjoy the visits with me. 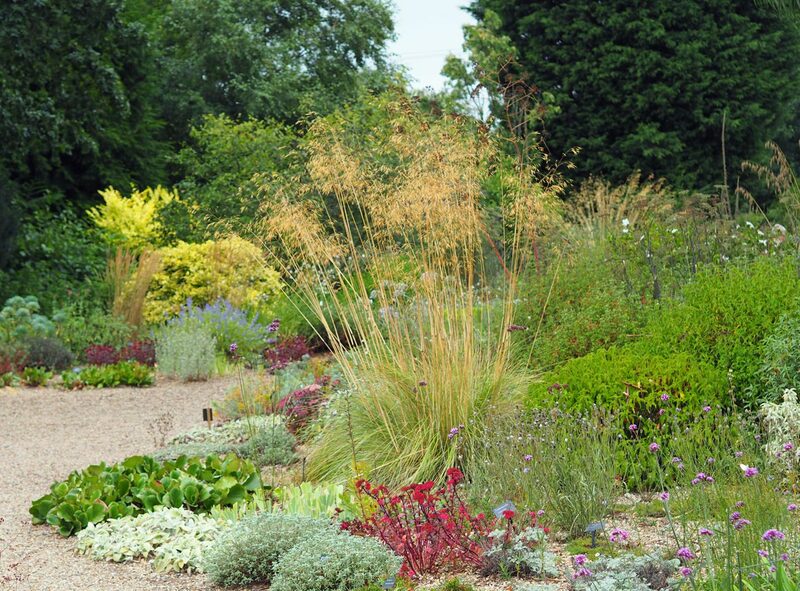 I am beginning with Beth Chatto’s garden in Essex, near Colchester. 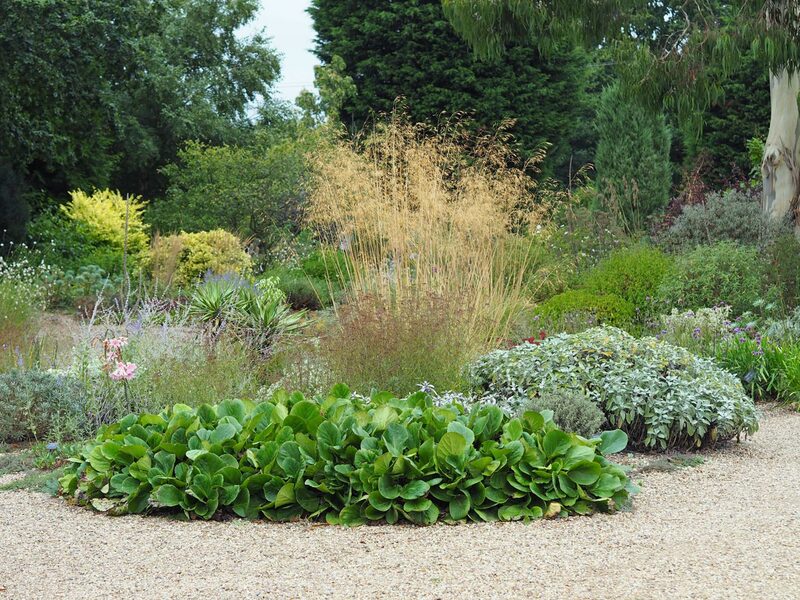 Famous for her gravel garden which is free to enter (as is the nursery and wonderful tea room), there is another part to the garden with water features and wide herbaceous borders. 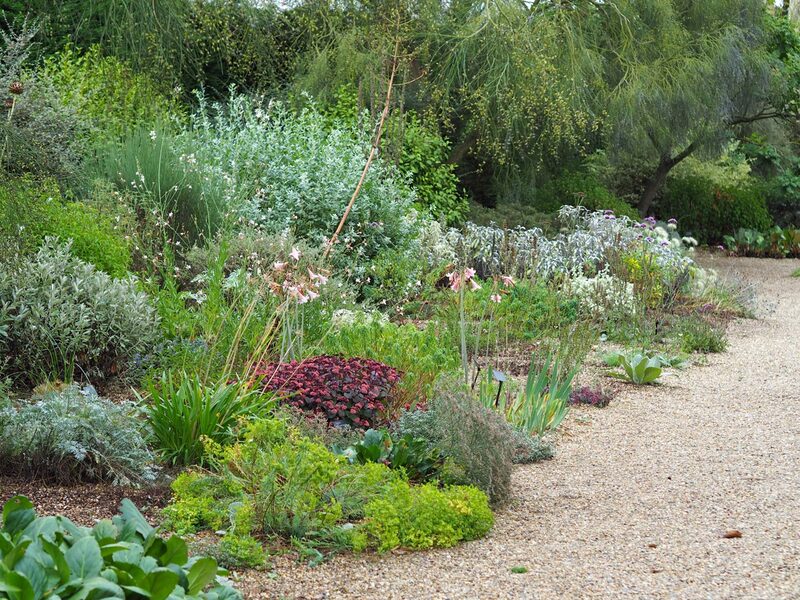 I’ll come back to that part later on, but for now I shall show you around the pretty gravel garden. 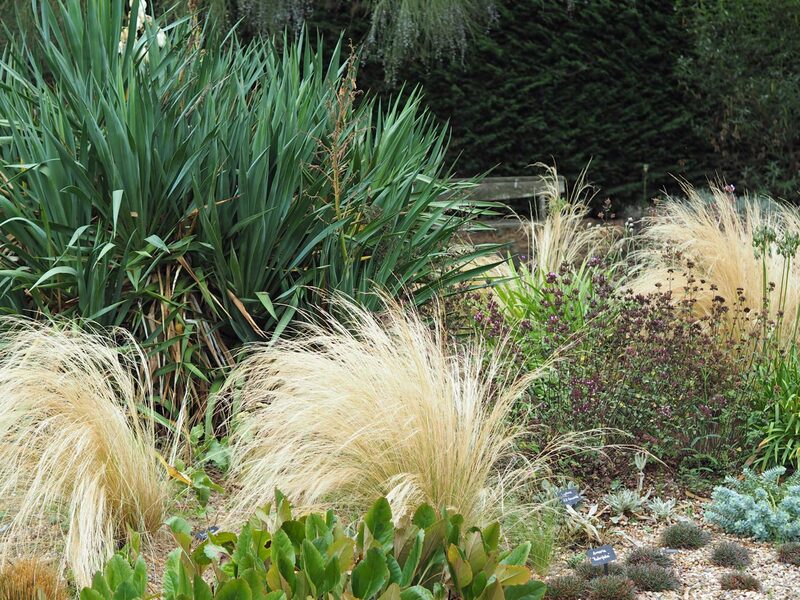 You will notice an abundance of blue-green, grey and silver foliage, golden grasses and low-growing mounds. Colour is added by the addition of poppies, coastal plants such as the horned poppy and sea lavender. Sedums attract the bees, Gaura Lindheimeri flutter in the breeze like dancing butterflies and the autumn crocus form stunning patches of purple-pink drifts. And after two hours of mowing the lawn (a very small lawn) on Thursday – I swear it grew at least a foot high whilst I was away – I am contemplating creating my own gravel garden. Not that there is any shortage of water in these parts. Get your post in by the end of the month, as the new theme comes out on the first Sunday in November. Please visit the sites in the comments to see what others are posting. Thank you for this- really great photos! My 2012 visit took place in an earlier camera era, I was amazed when I dug the photo out as it seemed to me to look like the 1950s! Ah well.